The term fish is informal. It is not used in science. 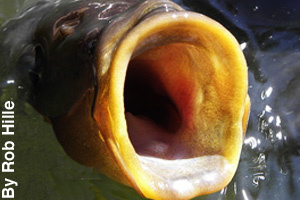 In general, fish are animals with backbones that live in water. But fish are different in many ways. 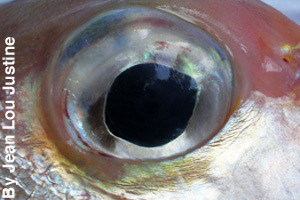 Most fish have scales. Most breathe with gills. But some fish have lungs or breathe through their skin. Most fish lay eggs, though some give birth to live young. Fish are cold-blooded. That means that their bodies become the temperature of their surroundings. There are some fish that can keep their bodies warmer than the water around them, though. There are four basic groups of fish. One group is jawless fish. 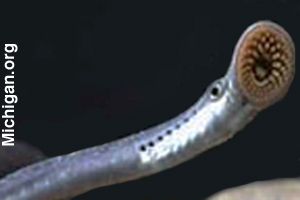 The sea lamprey is jawless. It has a sucker instead of a mouth. It does not have scales. Another group is lungfish. 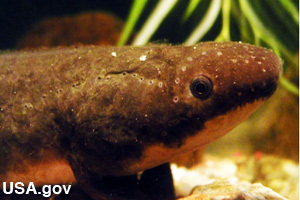 The lungfish does not have gills. It breathes with lungs. Sharks and rays are a group all of their own. They have scales that are like teeth. Their skeletons are made of cartilage, not bone. The largest group is bony fish. 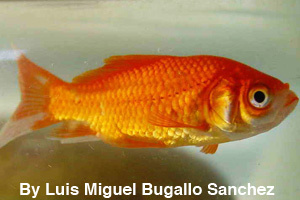 Many of these fish have the typical streamlined body. Like goldfish, they have fins and gills. 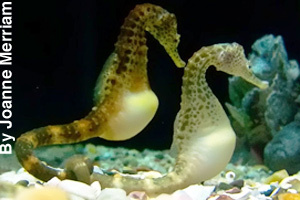 Some, like seahorses, do not look like fish at all. Whales and dolphins are not fish. Whales and dolphins are mammals. There have been fish for about 450 million years. Today, there are more than 30,000 species of fish. The stout infant fish is less than 1/2 inch (about 1 centimeter) long. 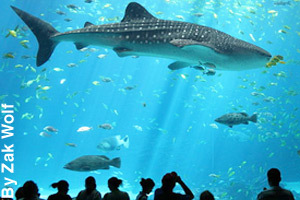 The largest fish is the whale shark. It can be over 50 feet (over 15 meters) long. MLA Style: "What is a Fish?." Facts4Me. Apr. 2014. http://www.facts4me.com. Copyright © 2006 - 2019, Facts4Me. All rights reserved.